Click on the link below to make a donation, we will notify the person you specify. We are dedicated to providing safe havens for dogs who find themselves without a home, regardless of age, size or breed. Many families who want to add a puppy to their family might consider adoption if more puppies were available. In the current circumstance of overpopulation of dogs, even puppies are routinely killed, thus we continue to address the root cause of homeless animals, overpopulation. A single male and female and their offspring can produce thousands of offspring in six years. If you would like to donate a spay/neuter certificate in your dog's name, please click on the paypal link above. 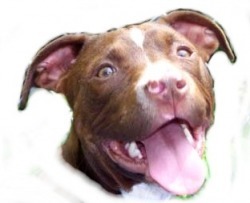 Join our program to sponsor a Rawhide Pet until it becomes adopted. Now you can sponsor your own Rawhide pet! For a monthly donation of $25, you can select your own special pet to sponsor. This program helps us with the basic care of an animal, including food and veterinary costs. We are often contacted by people who ask us about a particular dog. Regretfully they are unable to adopt due to personal circumstances. Our sponsorship program allows you to know you have a role in the well-being and care of "your" pet while in foster. Want to sponsor? Which dog? In order to rescue and place more dogs we need more loving families to open up their homes for an animal while we're finding it a forever home. To become a Rawhide Foster Family download the foster application and email it to us at rawhiderescue@hotmail.com Attention: Sherrie. Feel guilty shopping? No longer! By becoming a member of iGive you are helping a special cause while indulging yourself. Click here and you'll see how easy it can be. Come to our Adoption Days and peruse Rawhide Rescue goodies for sale. We are always in need of dog food and an assortment of supplies. If you would like to help download our Microsoft Word Rawhide Rescue Wish List and we'll be more than happy to receive any of the items listed. We can ALWAYS use dog beds of various sizes and shapes. Our dogs are not always too gentle with their beds so we appreciate any donations. Also, collars, leashes and harnesses are a great hit with our foster parents We can take in at our adoption events or you can email or call about making a product donation. If you belong to a group or are just an individual animal lover that would like to do a Pet Products Drive to benefit the homeless pets that we rescue, drop us a line! Rawhide's dogs always need canned and dried food, litter, beds, toys, and treats! To become a Rawhide Rescue Volunteer, download the volunteer application and email it to our volunteer coordinator. While many of our volunteers are foster parents, we have lots of opportunities to volunteer for those who cannot have foster pets (or for "failed fosters", those who end up adopting their foster pets!). Fundraising, helping handle dogs at adoption days, making biscuits and goodies to sell, event planning and grant writing are all options for additional volunteer opportunities. We also can use professional skills, from lawyers and graphic artists, to accountants and dog groomers. If you have a desire to help dogs in any capacity, we will find a spot for you! Many companies have Matching Gift programs and/or programs that encourage their employees to assist non-profits in the community. Why don't you find out if you, too, work for a "giving" organization or maybe you can start a program in your workplace. Adoptive mom, Melissa, began a program at the school where she teaches and Rawhide Rescue has benefited through donations of food and supplies.! Obtain the password from your "foster mentor." To Email the application: File/Send/As page or as link. Use the browser 'back' button to return to the list of applications. Rawhide Rescue is an all-volunteer federally qualified 501(c)(3) non-profit animal rescue organization whose primary mission is to rescue dogs, regardless of their age, medical needs or other conditions. We rescue dogs who have "fallen through the cracks" in the animal sheltering system left by private and municipal shelters, as well as other pet rescue groups due to the overwhelming number of homeless animals in our communities.